Counsel for embattled NDC National Chairman, Lawyer Victor Kwadwogah Adawudu has disclosed that he does not see anything implicating or wrong with the secret audio in which Samuel Ofosu-Ampofo is heard inciting party communicators against the Chairperson of the Electoral Commission and Chairman of the National Peace Council. According to him, his client still maintains his earlier position that, he (Ofosu-Ampofo) is "innocent" and believes he will be exonerated in the end. Speaking on Okay FM’s 'Ade Akye Abia' programme, Lawyer Victor Kwadwogah Adawudu explained that what Chairman Ofosu-Ampofo said was nothing to be afraid of, because as a party Chairman he was trying to say something to calm nerves down after the violent incident occurred during the Ayawaso West Wuguon by-election. “I don’t see anything wrong with Ofosu-Ampofo’s comment . . . he was just telling the communicators of his party to protect themselves." Lawyer Adawudu added that he was confident that the case will not reach anywhere if only the tape they listened to at police headquarters is the only evidence that will be used against them in court. 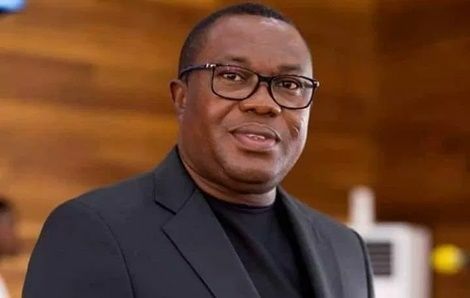 Meanwhile, Accra High Court hearing the case of Samuel Ofosu-Ampofo, National Chairman of the opposition National Democratic Congress (NDC) has adjourned it to May 16, 2019. Samuel Ofosu-Ampofo appeared in Court on Tuesday over a leaked tape involving him in the company of his lawyers: Abraham Amaliba, Tony Lithur, Dominic Ayine and Edudzi Tamakloe, as well as some kingpins of the NDC including former President and Presidential Candidate of the NDC, John Mahama. The Chairman has been charged with conspiracy to cause harm and assault against a Public Officer. He is being charged alongside a Deputy National Communication officer of the party, Kwaku Boahen.